My holiday party is this Saturday and Ittai's is this Friday. Back to back parties and what's a girl to wear? For me, I want to wear something a little unexpected. While I love all the velvet and sequin dresses, I'm feeling like breaking the mold. Well, just a little. 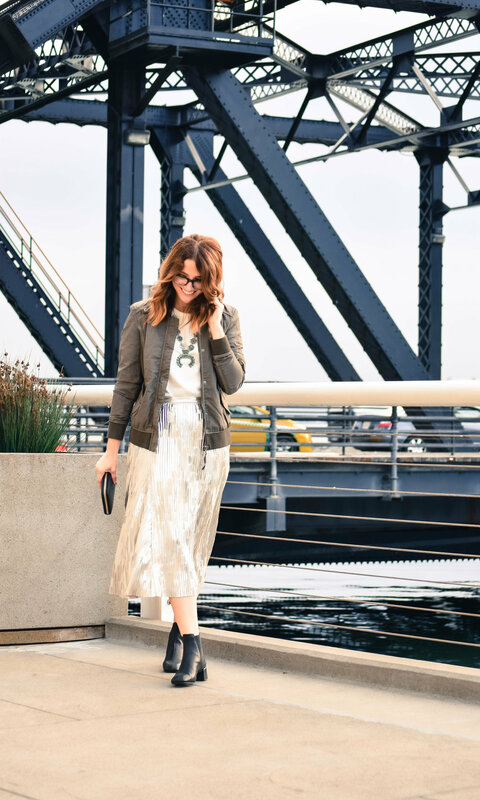 A few weeks ago I had the opportunity to do a shoot with Anthropologie's San Francisco store and try out some of this season's hottest trends. This midi-silver skirt was one of them. 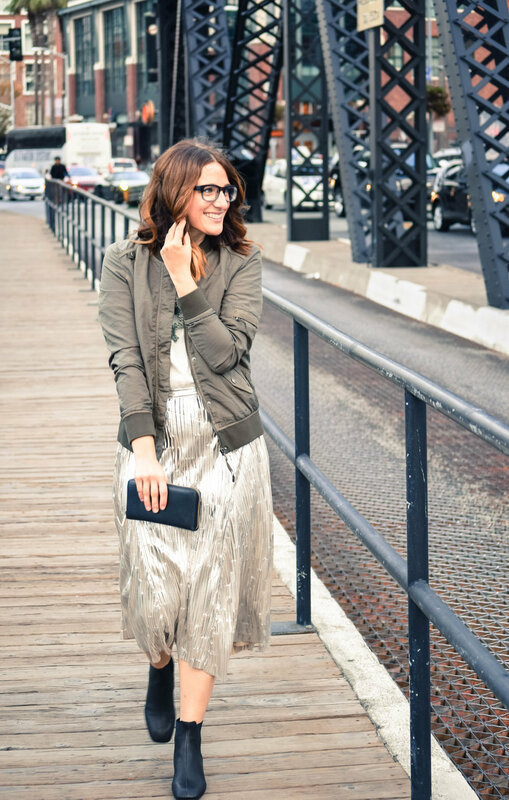 The skirt is so chic and comfy that it can be worn with an olive green military bomber and cute booties during the day or dressed up with a lace tank in the evening. I'm thinking this skirt would be the perfect party piece, eh?